A Van Gogh on your bike! 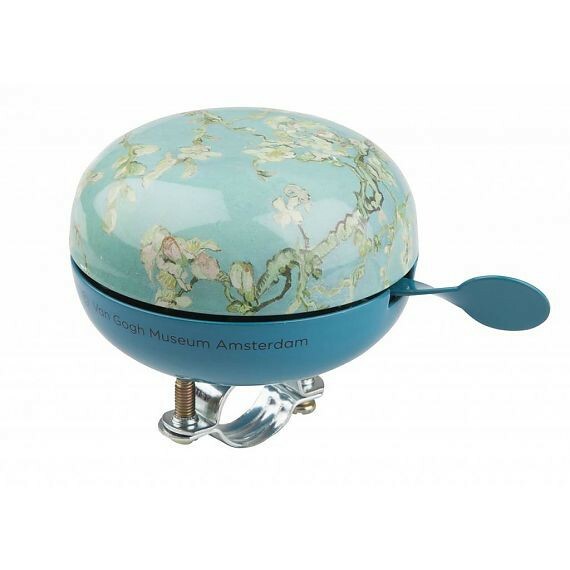 This bicycle bell is both hip and unique, printed with Van Gogh's masterpiece: the Almond Blossom! The bell is made of metal. The bottom is coated with bright yellow. The bell is nice, large, and round and has a loud ring. A practical accessory, which at the same time also makes your bike easier to find! 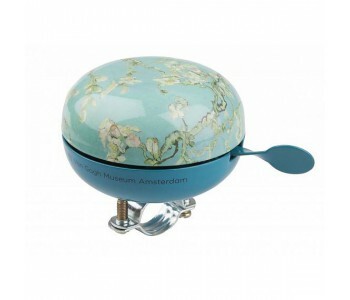 With its traditional Dutch large round shape, this van Gogh Bicycle Bell is both fashionable and unique. This yellow bicycle bell will definitely make you stand out in traffic. especially when you ring it several times! Thanks to its two adjustable screws, the bell can easily be mounted on the frame of every (adult) bike. Drive your bike like a typical Dutchman: elegant yet practical! Van Gogh painted this beautiful almond blossom still life against the backdrop of a clear blue sky for his newborn nephew Vincent Willem. For the design of this work, Van Gogh was heavily inspired by Japanese woodblock art, especially in terms of the sharp contours and placement of the tree. Or perhaps prefer Van Gogh's Sunflowers? Van Gogh is perhaps better known for his 'Sunflowers' painting. Over the years, this painting has inspired many designers to create a beautiful home and fashion accessories. This Bicycle Bell is also available in Sunflower print. Interested in our Sunflowers assortment? Please enter 'Sunflowers' in the search bar above and voila: you will see a whole collection of unique gifts.